This weekend my husband, brother, and soon-to-be sister-in-law are travelling to Emerald Lake Lodge, in the heart of the Canadian Rockies. 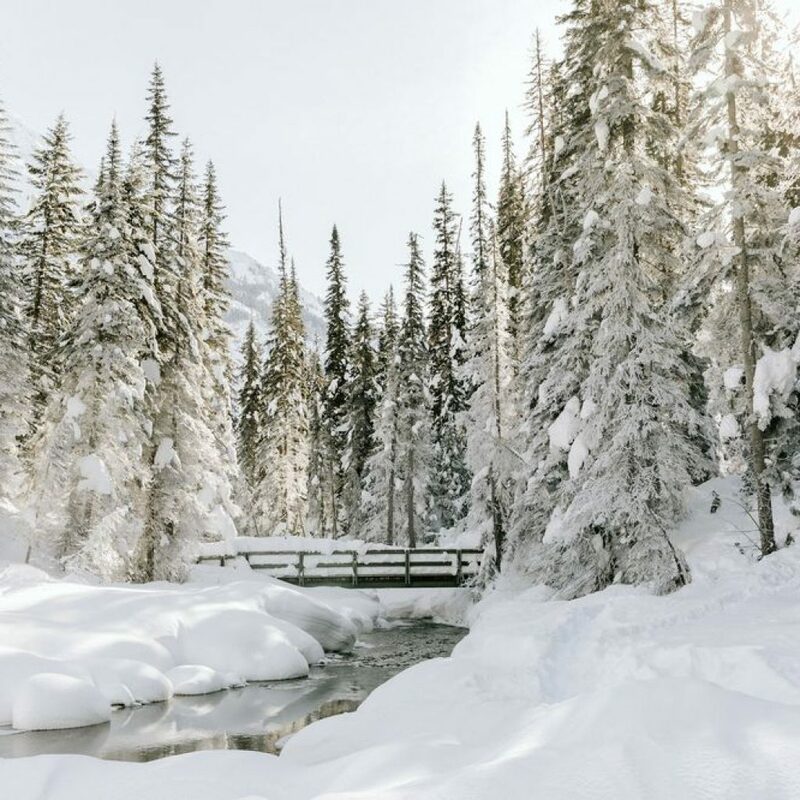 Ever since experiencing Banff last September, I’ve been dreaming of my next trip out West, and I’m thrilled to be visiting one of Canada’s most beautiful places – in the winter – for the first time. 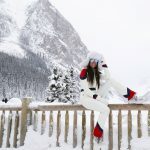 Visiting in the fall is very different to pack for, as winter tends to be quite bulky, so here are my top tips for packing for the Canadian Rockies! Snowshoeing, skating on Lake Louise, cross country skiing, tubing or tobogganing, and hiking. I also plan on spending time in Emerald Lake Lodge’s outdoor hot tub, so packing a bathing suit will be key (Always check out your hotel or resorts amenities before planning out your trip – will give you the full picture to plan out your packing). And of course we’ll be taking time to relax by the fire, enjoy some wine (obvi), and dine on all the comforts of the rockies! It’s January. In the rockies… It’s going be cold. So bringing layers, and warm outdoor gear is where to start. 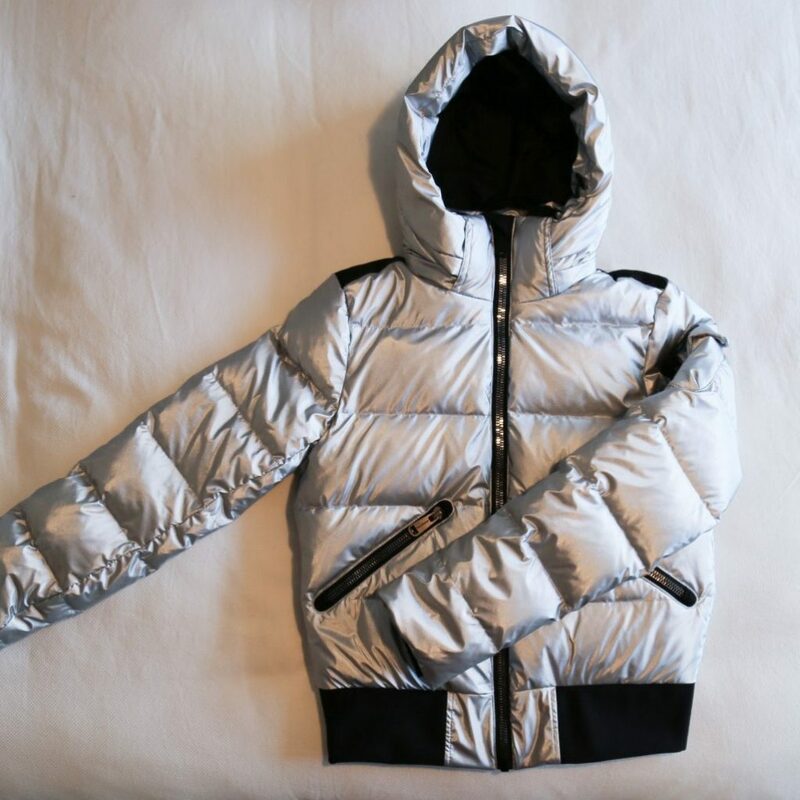 Snow Suit – This is probably the most important piece to include, albeit the largest. 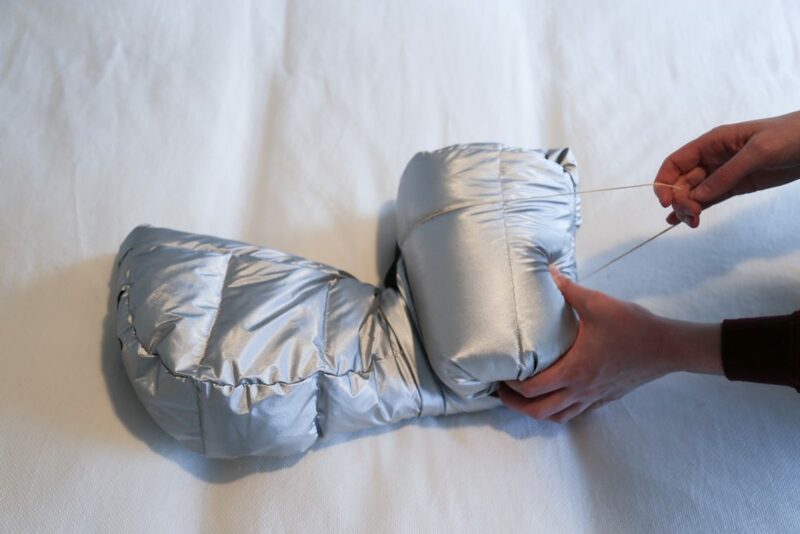 See below, a step by step way to fold your suit to give you more space for the rest of your gear! Gloves/Mitts – You’re going to want to bring one pair that can be thrown in your purse to use when going from place to place. You’re also going to need a heavy duty, functional to -20 type too. My personal favourite are made by Kombi (I own them in both black and white). Proudly Canadian, this brand knows the cold, and how to battle. 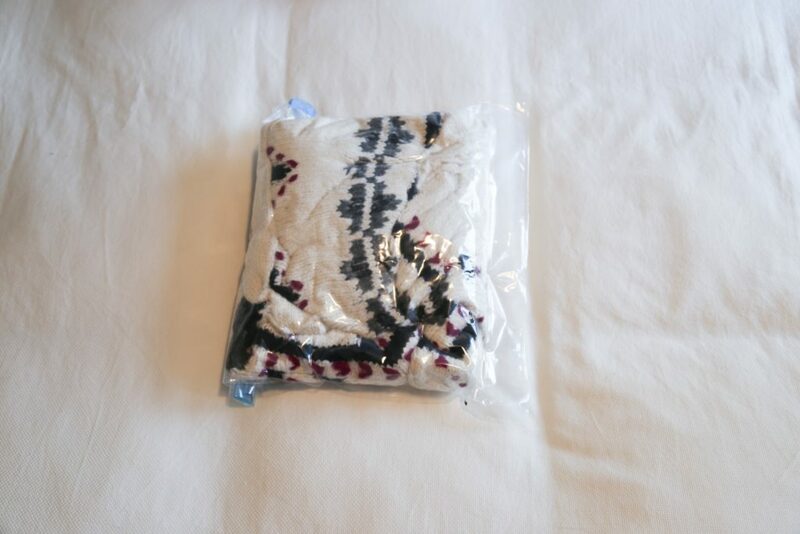 Toque – I’m probably packing a couple – if it’s snowing, they’ll get wet quickly so it’s good to have a back up or two (plus they don’t take up much room). My personal favourites are the cashmere toques from Uniqlo – they come in a bunch of colours and are only $29.90 (HELLO SALE!). 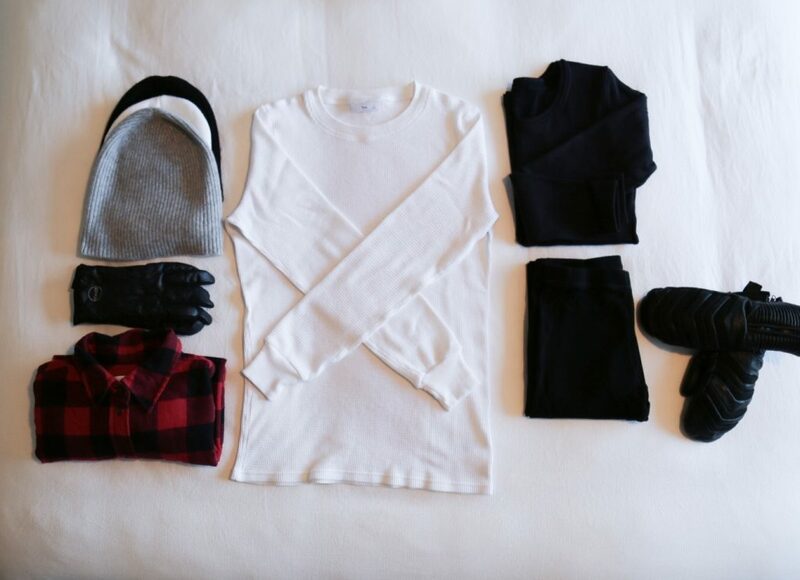 Base Layers – Wool and/or cotton blend layers are essential when traveling somewhere cool. 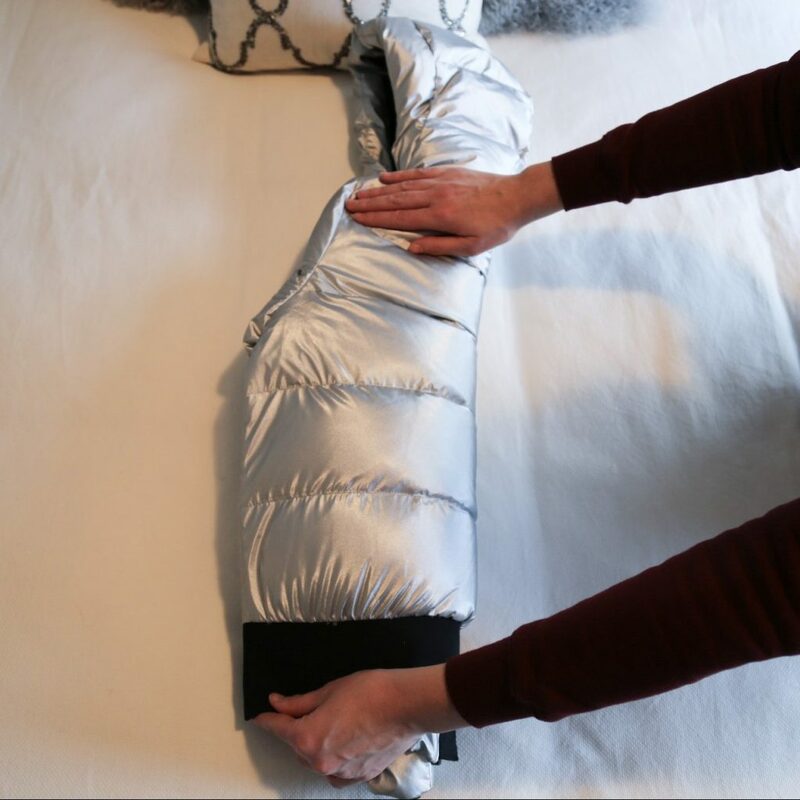 I have both a long sleeve crew neck and a legging – they’re the perfect base layers as they’re moister wicking and trap the heat to keep you warm and dry. Sporting Life has a ton of options to choose from, as does MEC! Boots – Winter boots for outdoor activities need to be super warm, comfortable and waterproof! I’m a big fan of two Canadian companies: Pajar Canada and Cougar Boots – they’re functional and fashionable – perfect for those instagramable moments, and the steps it took to get you there, HA! BOOM! You’ve just made room for your other necessities! 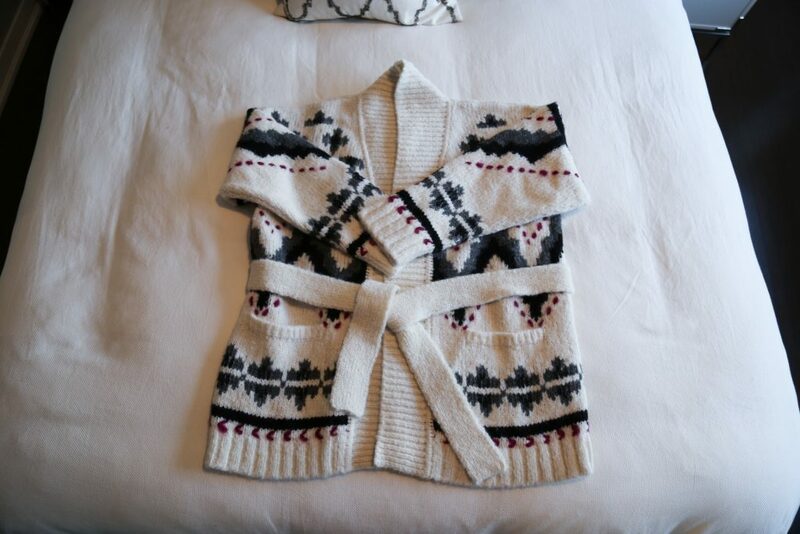 Sweaters – A sweater is the perfect pairing for a cozy night in or dinner with friends! The problem is, they can take up A LOT of space in your suitcase. 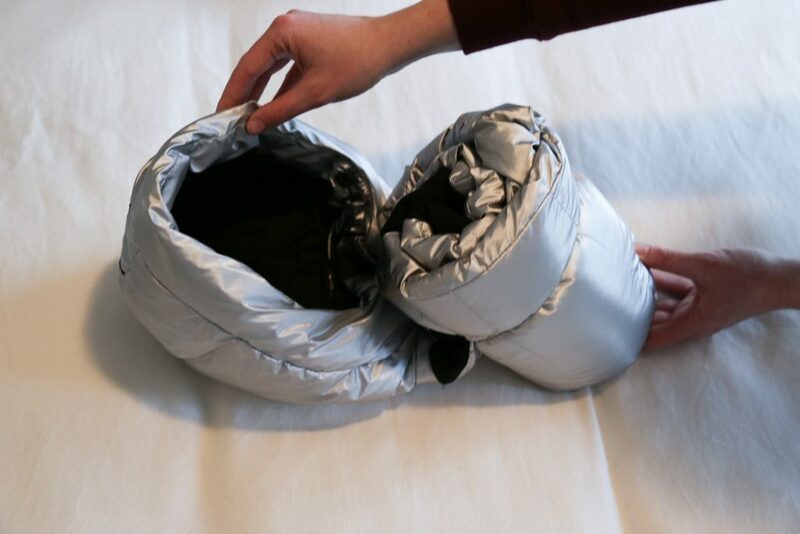 For someone who travels a lot, the Travel Roll Up Bags will change your life! I bought a pack of 10 from Amazon for only $18.95, and they work like a dream! 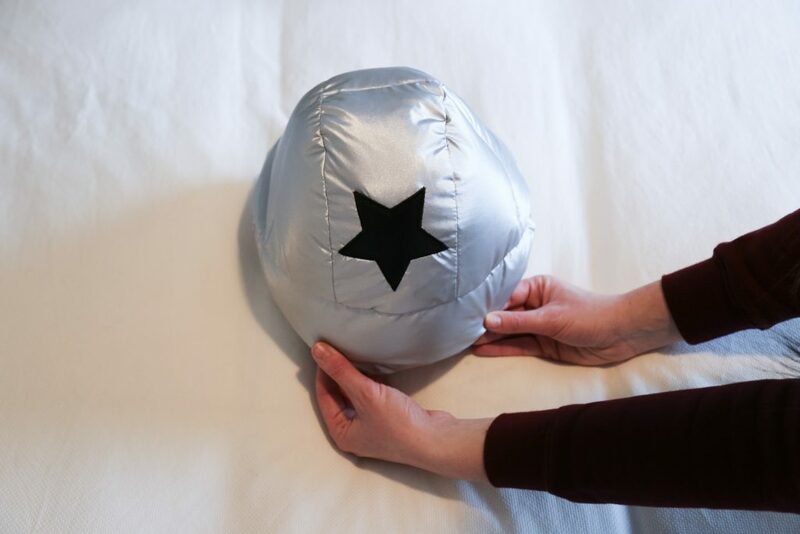 They’re also super easy to use – see below for a step by step! Hoodie & Jogger Set – For the down time, airport schlepping and everything in between, your fav jogger set is a great addition to a long weekend getaway. Flannel Button-Ups – Nothing says cozy winter getaway quite like a buffalo plaid button-up. But from a practical perspective, they’re also a great layering piece. This one from Aritzia is a personal favourite (and it’s on sale!). Jeans & Leggings – I often pack a great pair of black jeans or faux leather leggings for trips like this as they can easily be dressed up or down. For dinners out, a faux leather legging can easily dress up a simple sweater. And a black pair of jeans can be worn with just about anything! 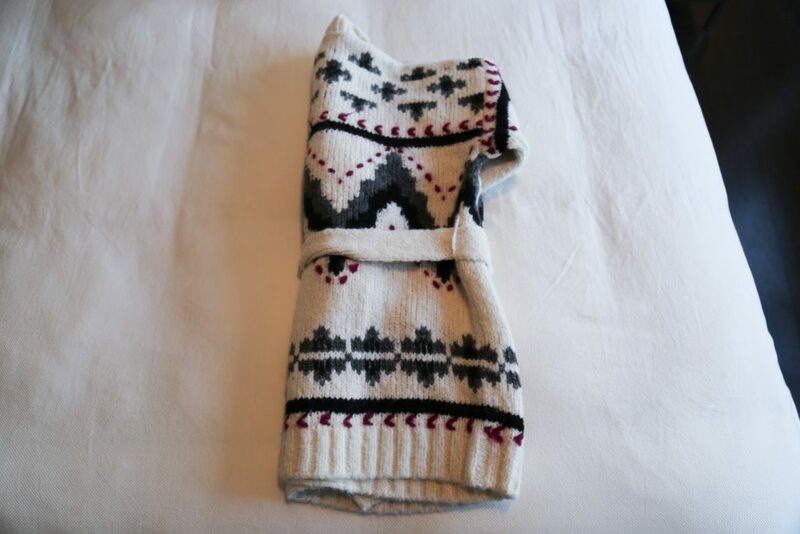 Cabin Socks – Wool blend socks are another must-have for a weekend in the Rockies. I would recommend bringing a couple of pairs (Roots has a 3 pack for $28) as you’ll want them in your adorable cabin, and when you’re outside enjoying all that Emerald Lake Lodge has to offer! And viola! Significant results, in seconds! Be sure to follow along our journey to the Rockies this weekend on my social media! I’ll also tell you all about it, back here on the blog! 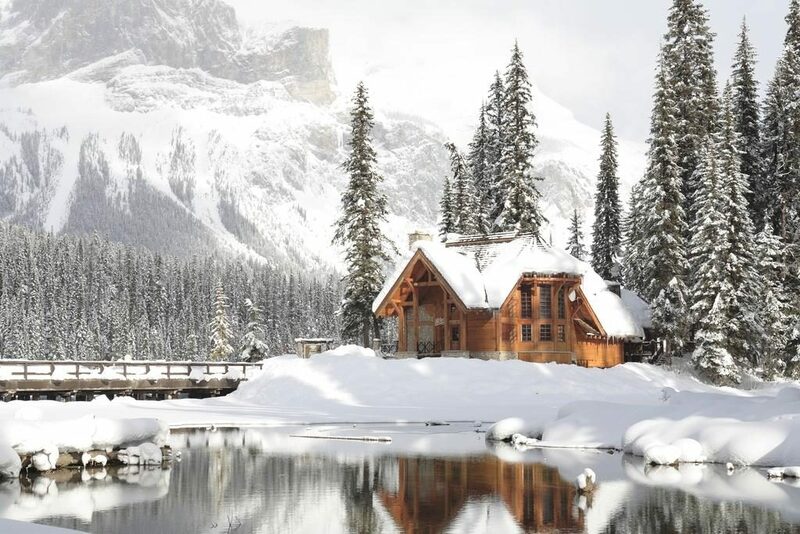 This post was created in partnership with Emerald Lake Lodge however all views and opinions are my own.